Looking for recommendations on these for me and some other friends that are interested in off roading. Mostly the western part of the US is fine. Some of the Guide Books I have in my reference library and use for California are the folllowing. 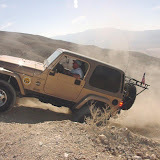 Great Basin SUV Trails Volume II Southwestern Nevada by Roger & Loris Mitchell.